After a crazy visit to Seattle for Black Friday, I swore to not go out on Boxing Day here in Vancouver. Even after purchasing a few items off Futureshop and NCIX on their online Boxing Day sales, I still held steadfast on the notion of sleeping in on Boxing Day. Well, I did end up sleeping in. But Viv suggested we head out anyways... and with the kids! Okay, it wasn't that bad since we weren't going to visit any big box stores nor the mall. 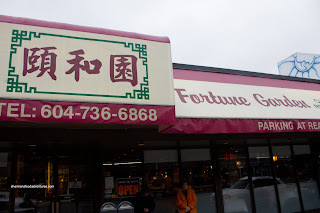 Seeing how it was almost time for lunch, I suggested we head out for some Dim Sum first. 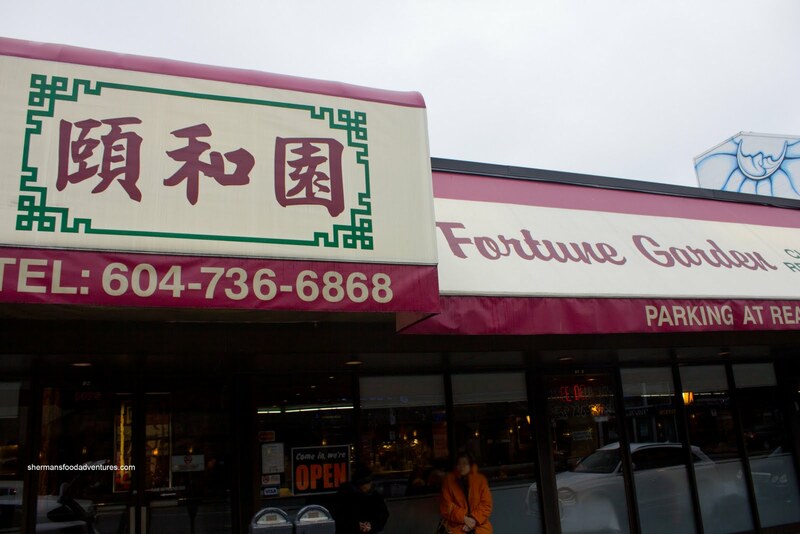 We decided on Fortune Garden since we had just talked about it. You see, Viv and I were across the street at McD's a week prior and remarked that it has been at that location forever (in one shape or form). It was about time we paid them a visit considering the last time I was here, my age was in single digits. 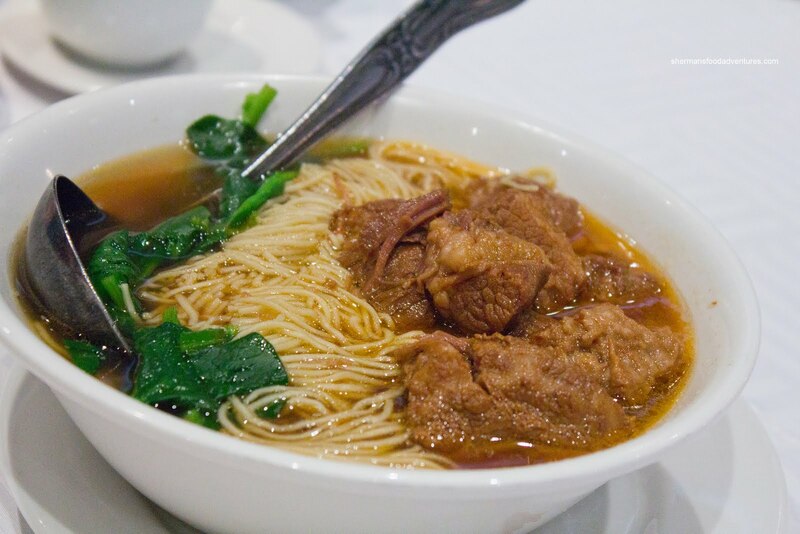 Being a Szechuan restaurant, we decided the Szechaun Beef Noodle was a must try. It arrived first and it was hit and miss in one bowl. We really liked the beef, since it was super tender and not overly fatty. The thin noodles were al dente, yet gooey for some reason. The soup was pleasant enough, not lacking flavour per se, but it was not in the least spicy. So much so, my daughter ate it without complaints. This was an okay bowl of noodles which could be a whole lot better. 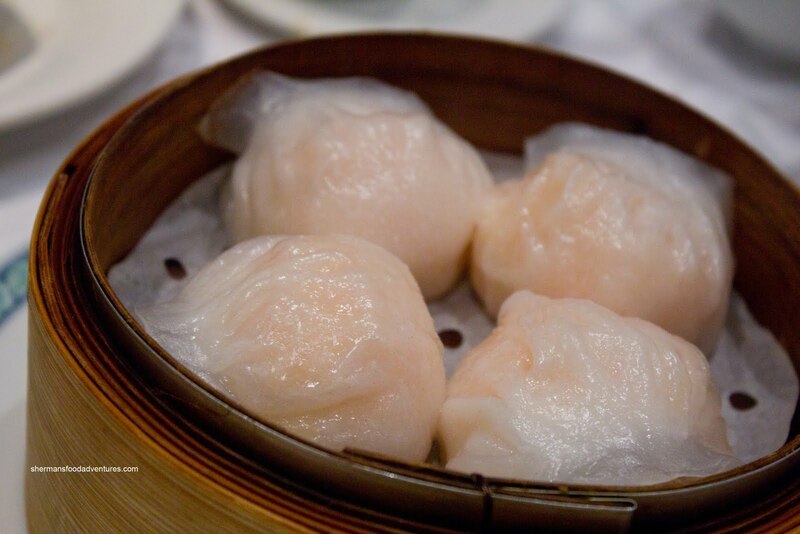 We then proceeded to some Cantonese Dim Sum items starting with the Haw Gow (Steamed Shrimp Dumplings). 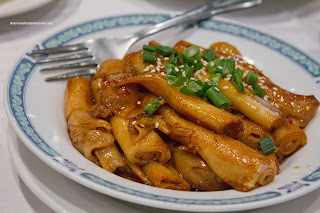 For a Szechaun joint, these were pretty good. 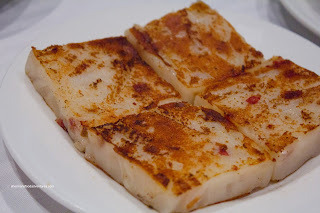 Although the dumpling skin was a touch sticky, the shrimp filling had a good snap and was seasoned just enough that it didn't overwhelm the shrimp. 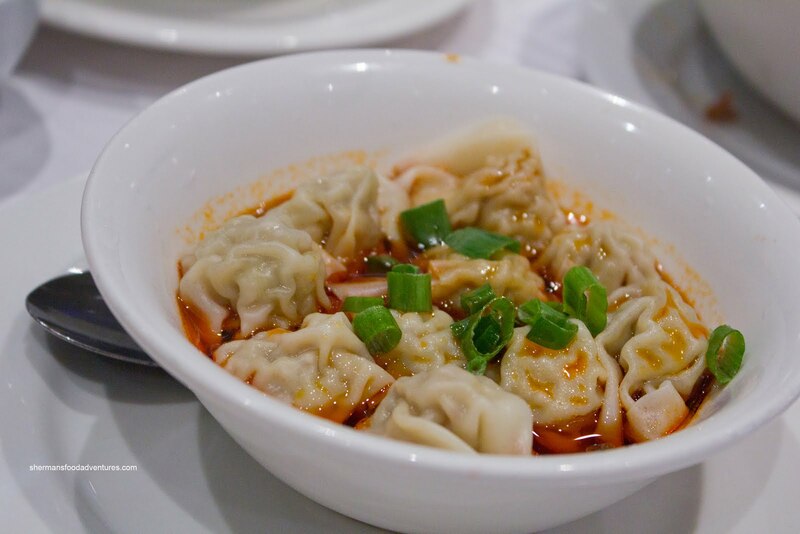 subtle-tasting back to Szechuan, we got the Spicy Wontons. I wouldn't necessarily have called these bland, but it wasn't as impactful as I would've liked. Sure, there was chili oil as you can clearly see in the picture. I guess we could've just used a bit more. I'm pretty sure they make this dish to appeal to as many people as possible. Thus, someone could easily asked for it to be prepared spicier. As for the wontons, they were pretty standard pork wontons which more or less did their job (as a blank canvas for the spicy oil and soy mixture). Now drumroll... Yes, it is the ever-so-ordered Soy-Fried Rice Noodle Rolls. Although I am completely indifferent about this dish, my son can't do without it. These were pretty typical. The texture was about right where it was chewy while soft at the same time. They were quite greasy though and could've stood for more browning. Also, for some odd reason, there was no accompanying sauces such as the usual hoisin and sesame. 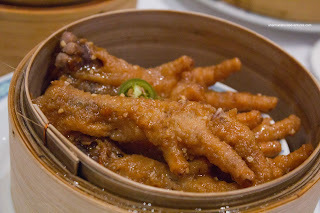 Onto something that my son wouldn't even considering eating (which is not a stretch because there are many people who are probably in the same boat) was the Phoenix Talons or otherwise known as Chicken Feet. For those unfamiliar, these are first fried, then tossed in an oyster-based sauce with garlic and peppers, then steamed. What makes a good chicken feet dish? Well, first of all, the skin should be in one piece and not shriveled up and peeling (yes, not a great gastronomical description). Furthermore, the gelatin underneath the skin should be intact since that what makes this dish so good. This was more or less the case here and it was surprisingly decent. 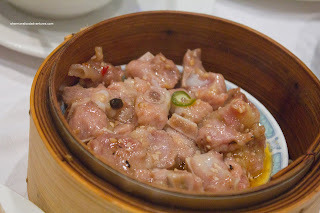 Another decent offering was the Steamed Black Bean Spareribs. Despite its compacted appearance, the meat was tenderized enough so it was easy to chew. Yet, there was still plenty of meat texture left. For those sparerib connoisseurs, you will notice from the picture that the pieces were good quality. There was a minimal amount of cartilage and fat while most were actual rib pieces. Although there was not a whole lot of black bean itself, the rest of the seasonings (such as the peppers, chili flakes and garlic) made up for it. Okay, we decided to get the Xiao Long Bao even though Fortune Garden is a Szechuan restaurant. We were expecting an average attempt and it was pretty much bang-on. 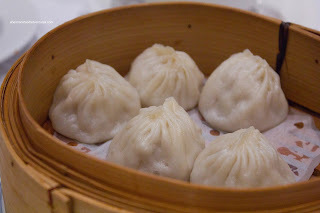 The dumpling skin was on the thicker side and the amount of soup was pretty meager. The meat filling wasn't too bad though. It was not gritty and had some good meat flavour. It could've used some more ginger though. 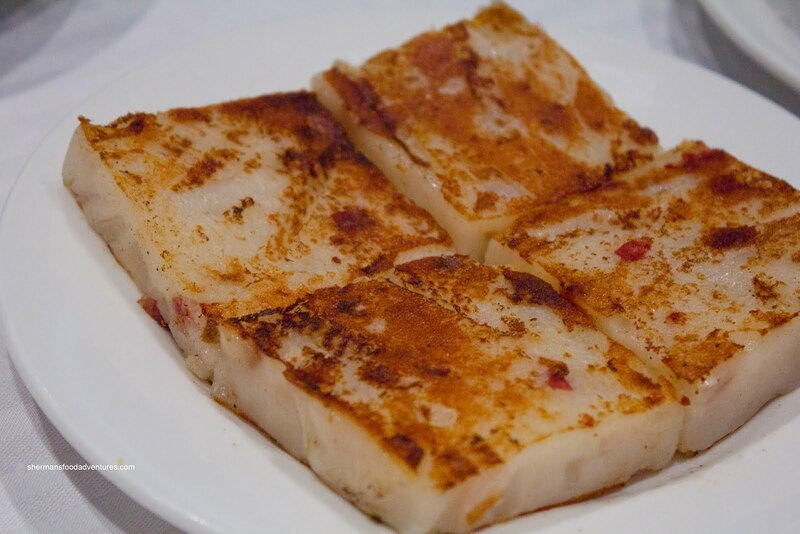 But then again, I'm not going to be too hard on them since they are not a Shanghainese restaurant. 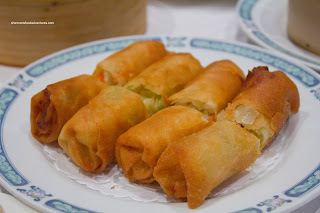 Lastly, we added an order of the Vegetarian Spring Rolls because they didn't have the Chinese Donut. My son was pretty annoyed since he was expecting the latter. In the end, he was happy he got something deep-fried and crispy. These were very crunchy and a touch oily. The shredded cabbage and carrots remained crisp inside. Not sure what type of clientele they are hoping to attract, but the inclusion of sweet plum sauce as a dip was not exactly what we were expecting. Worcestershire sauce please! Whatever the case, the food in general was alright and did the job. Not necessarily anything special enough to compete with the big boys and many of the Dim Sum joints in East Van. However, considering its location where there are not really all that many choices (Szechuan Chongqing and Dynasty), it is no wonder it still exists to this date.